For the last stop of her international Becoming book tour before the new year, Obama turned one of her most fashion-forward looks yet: a head-to-toe Balenciaga getup from the French fashion house’s spring 2019 ready-to-wear collection. The dress was yellow, the colour of much-needed freshness, happiness, and positivity, and the boots were every colour of the rainbow depending on how the light hit them. 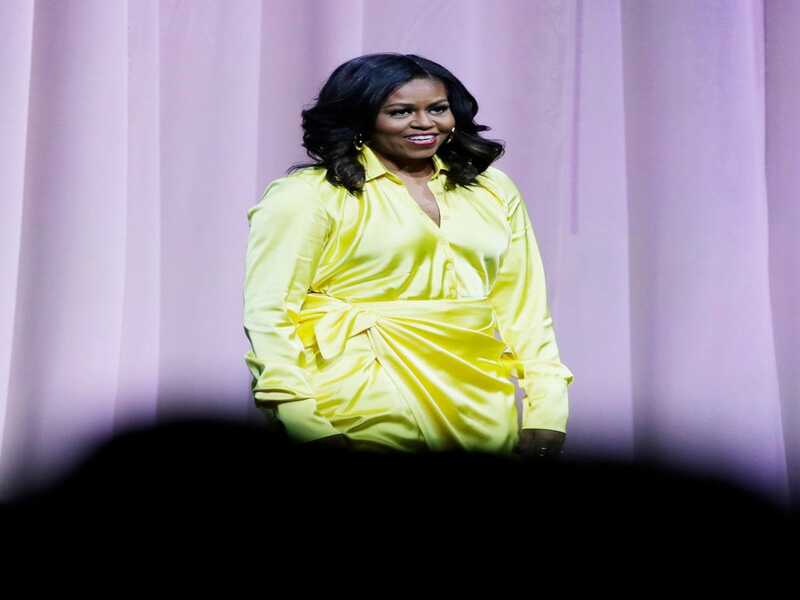 The two-piece number, assembled by Obama’s longtime stylist Meredith Koop, captivated the crowd in a way a model walking down a runway simply wouldn’t. 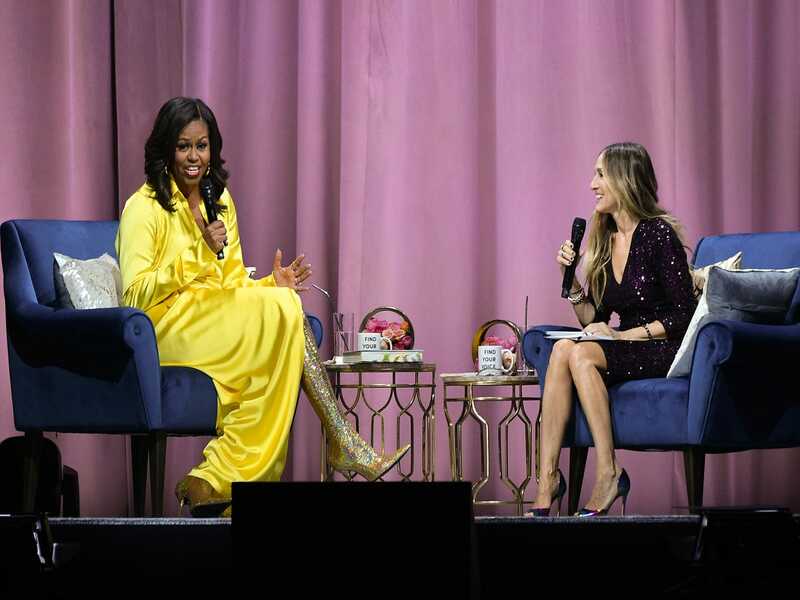 As SJP asked Obama to walk the audience through her fashion choices over the past decade, that includes names as luxurious as Gucci and Versace, as contemporary as Proenza Schouler, Thakoon, and Cushnie et Ochs (now Cushnie), and as affordable as J. Crew, Gap, and Target, it made sense, then, that for a talk with a well-known actress and fashion icon, a bright yellow getup paired with metallic, knife-sharp boots was the way to go. And one couldn’t help but wonder how Obama came to select the look for a night in Brooklyn. Though Obama claims her approach to getting dressed while in the White House was “practical,” as she could be seen delivering a speech on policy to a group of business leaders and shooting hoops with the Cleveland Cavaliers in the same day, these boots were anything but. Unlike the average shopper, the energy of a designer is just as meaningful to Obama as their technical skills. It wasn’t just that she liked their designs, she had to like them as a person, too. “I didn’t want to wear the clothes of someone who didn’t have a good spirit. You could hear these things: how they treated my staff or how they treated their workers. So, everyone I wore as far as I knew had a good spirit as well.” Through her education initiatives, Obama held fashion in high regard: She hosted a Fashion Education workshop at the White House, including the time she invited students to watch Jason Wu donate the gown he made for her to the Smithsonian. Designers also frequently attended White House dinners and events.